There’s no denying it: Melburnians love living in Melbourne. It’s part of the reason why we throw a little party for ourselves every time Melbourne is named the world’s most liveable city or have a little chuckle every time someone mentions our four-seasons-in-one-day weather patterns. It’s all part of Melbourne’s charm – a charm you can soon have on your wrist. Established in 2013, the Melbourne Watch Company make dazzling homages to the city they’re inspired by. Named after famous locations in Melbourne, these watches draw influence from well-known elements of the city’s culture, from buff business couture to the vibrant laneway scene or the laid back coastal vibes we know so well. Their premier timepiece is the Flinders, named after Melbourne’s station stalwart. Its face resembles the old clocks hanging above the station entrance and comes with an elegant black or brown band. Other watches are just as themed, including Portsea, Hawthorn, Carlton, Parkville, Avalon, Sorrento and Collins. All timepieces use quality materials, including surgical grade 316L stainless steel, scratch resistant sapphire crystal and high-grade mechanical movements. 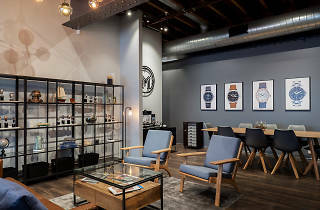 While the Melbourne Watch Company has been selling online since its inception, customers who wish to view collections in person can do so at their newly opened showroom in Carlton, which can be viewed by appointment only. Designed by the Stylesmiths' Helen Griffen and the MWC team, the showroom has a lounge-type feel, as opposed to a traditional retail setting. The environment is relaxed, with complimentary beverages on hand for visitors during their appointments with MWC's showroom manager Nick. 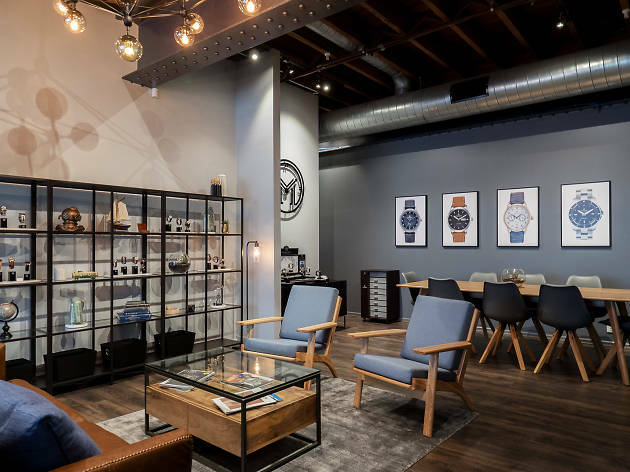 Guests are given a behind-the-scenes look into the creation of the business here too, with the watch workshop adjacent to the showroom area. Prices are reasonable considering the caliber of the products, with the average watch price starting at $429.